Getting up early in the morning and doing Surya Namaskar or Sun Salutation yoga pose is one of a great way to start our day fresh. Surya Namaskar is a sequence of 12 yoga poses that flow one into the other with controlled and rhythmic breathing. Each step of Surya Namaskar is designed to have a specific benefit to the body. Each Sequence can boost our cardiovascular health, improves our blood circulation, helps to beat our stress and detox our body along with offering flexibility and strength. There is one thing that we want to tell you, Surya Namaskar is a set of 7 Asana and rest of 5 Asana are repetition pose (first 7 steps + five repetition steps = 12 steps). But basically, we say there are 12 steps in this. Why should do Surya Namaskar in the light of sun only? Sun Salutation translates into doing 288 powerful yoga poses in a span of 12 to 15 minutes! Sun Salutation is another example of how good things come in packages. There is no religious cause behind that, but most of the people think, the Surya Namaskar is belonged to worship the sun, but it’s wrong, Early in the morning the raises of the sun is not harmful to the body but useful to the body, early morning raises is good for our body. Because in the early morning there are no ultraviolet rays in sun. Early morning means 5 to 6 am. As we told earlier there are 12 steps in Surya Namaskar, but along with you have to chant 12 mantras in each step These twelve Mantras are the alternate worshipping names of Surya. Chant these mantras one by one starting from position 1 to last position. First of all, Stand with your feet together and fold your both palms in front of your chest (likeNamaskar). Then Close your eyes and chant the Mantra – Ommm Mitrayah Namaha (this is the first name of Surya). Then breathe normally. After that, Raise your arms and slowly bend over your head and shoulders with the palms touching each other and biceps touching your ears. Stretch your abdomen as much as possible and lean backward. 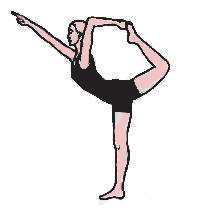 (if you are beginner do stretch as much as you can) Inhale and chant Khagaya Namaha. 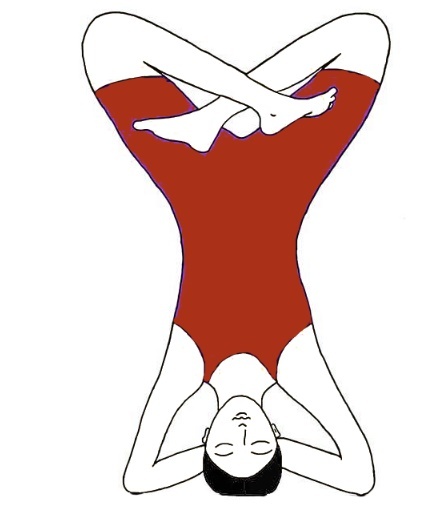 Hold this position for few seconds, and then exhale. 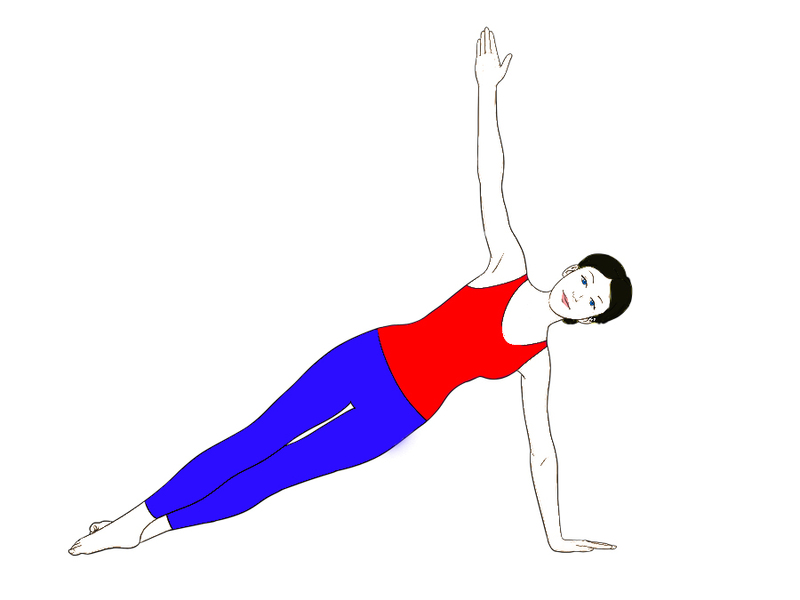 In this position, you have to Bend forward and place your palms on the side of your feet. Touch your knee with forehead and try to touch your feet by palms then exhale deeply with chanting Suryaya Namaha. Take your leg one step back and place the other leg in the front with palms firm on the ground. Raise your head and inhale while chanting Bhanuvae Namaha. Now bring the leg that was in front next to other one and keep other one and keep the hips off the floor with both your hands supporting the body in a push-up position. Exhale and chant Raviye Namaha. After that, Lower your knees, chest, and forehead with your palms slowly on the ground next to your chest and elbows bent upwards. Hold your breath here and chant Pushnae Namaha. Try to keep lower your waist and raise your upper body. Look upwards and keep your arms straight. Then inhale at a slow pace and chant Hiranya- Garbhaya Namaha. Try to take your hips up and bring your head to the floor with eyes on the navel and heel on the floor. This position will exactly look like an inverted ‘V’. Then, as usual, exhale and chant Marichiye Namaha. 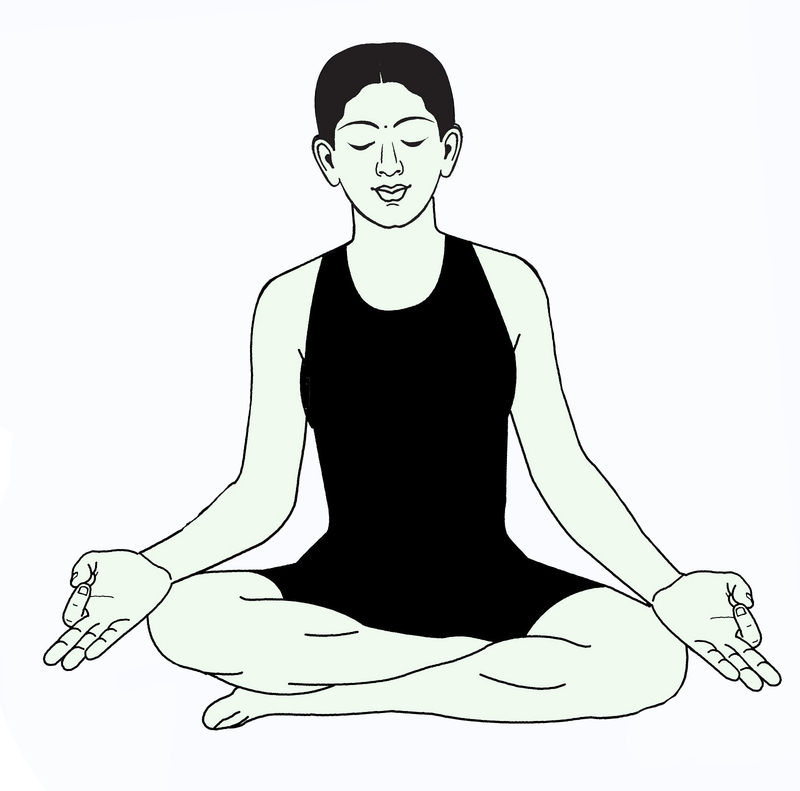 In this step, you have to repeat the same posture of position 4, Inhale and chant Mantra Adityaya Namaha. This is the final stage of Surya Namaskar and it is similar to the first stage (Position of Namaskar). You have to breathe normally and recite Bhaskaraya Namaha. Every step of Surya Namaskar has it’s own benefit to the health. Surya Namaskar promotes balance, improves digestion. Stretches your arms and shoulder muscles along with tones your spine, promotes flexibility in back and hips also. Exercises spine, strengthens hand and wrist muscles. It helps in blood circulation, tones abdominal tracts, stretches back and leg muscles, stimulates spinal nerves, stimulates the lymphatic system. Stretches arms, shoulder, neck and back muscles, exercises back muscles, releases tension in neck and shoulder. Sun Salutation also benefits your Endocrine system and enables the various endocrinal glands to function properly. These include the thyroid, parathyroid, and pituitary glands as well as the adrenal gland, testes, and ovaries. It is an excellent way to manage stress and alleviate depression. You will expend a tremendous amount of energy as you move through the two sets of poses. 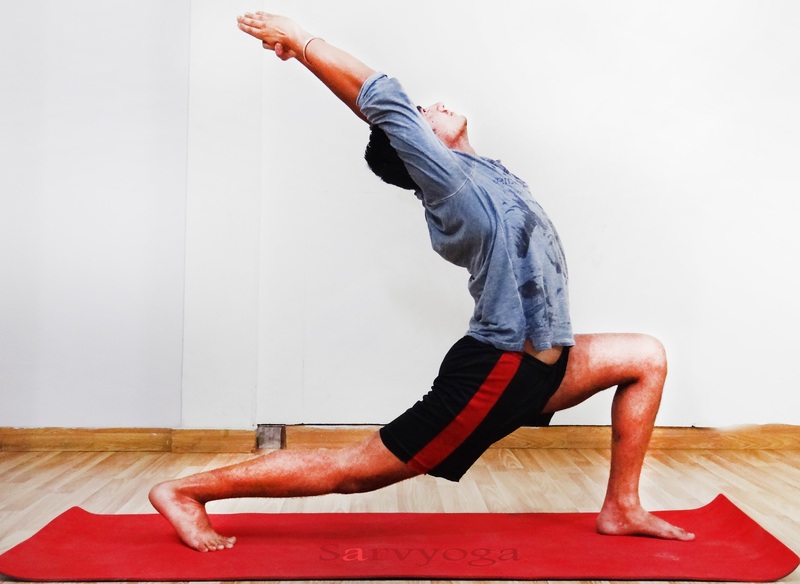 Surya Namaskar helps you to concentrate, and learning to achieve the poses is incredibly gratifying. Friends Surya Namaskar is the best way to burn your calories at your home as well as if you will do Surya Namaskar for 30-minutes then you burn 417 calories and this is the real fact. People who are suffering from Obesity, this is the best and simple posture. Can you put a video also for the asana? You will get videos soon, currently we are working on it. I have a humble request to you that you please make a hindi version of your website. Thanx @Ishan, for your suggestion, In future we’ll think about this, by the way this is an excellent idea. for this we have to hire more people.If our website ranking well then definitely we’ll make hindi version of this website. May god bless you. for the time being keep practice with english text and in our website we use simple english language by which everybody understand what we want to say about particular topic. We need visitors like you so, thnx for connecting with us. Keep practicing and keep visiting our website for more updates. @Jami, thnx for asking help; definitely in future if we need Hindi translation then we’ll approach you. May God bless you. Thank you so much . I loved your site and the posts are fantastic . Again thank you so much . Thank you so much for appreciating our work. We Try our level best to give you simple and easy advice. May God bless you. Keep visiting our site.